Are you looking for a reliable residential locksmith in Boynton Beach, FL? You’ve come to the right place. Town Center Locksmith Shop has been offering comprehensive locksmithing services to the local community for close to a decade. We can repair locks, replace them, and rekey them. Our locksmithing teams are comprised of experienced locksmiths with years of industry experience. No matter what lock-related problem you’re facing; Town Center Locksmith Shop can help. Did you get locked out of your home or garage at night and desperately need to get in? You can contact us for immediate assistance. We can send our team over to your location within 30 minutes. All our services can be requested at night at no additional costs. We are also available to work during weekends, and through all major holidays. Has your neighborhood been targeted by thieves recently? You can get a free consultation from us. Our experienced locksmiths will inspect your property and hand you a list of recommendations to help you enhance its security. 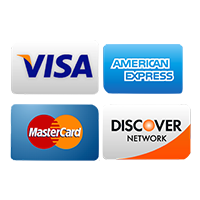 We can recommend high-security locks or electronic locks too, depending on your budget. We can repair or replace damaged locks in no time. We are a mobile locksmith that carries a large inventory in our mobile vans, so if your lock needs to be replaced, we can install a new high-security variant in its place. We provide a range of locks, including magnetic locks, dead bolts, pin and tumbler locks, keypad locks, master key systems, and smart locks. We can also make new keys for your locks. Our key-cutting service doesn’t make you wait for hours – we can usually hand over your new keys in a matter of minutes. Our locksmiths know how to operate the high-tech machinery needed to duplicate high-security keys. We can also extract keys that have broken in locks without harming your lock or your property in any way. Sometimes it’s the door that’s at fault, and not the lock. 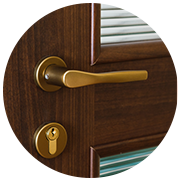 Town Center Locksmith Shop can also repair or reinstall doors, if necessary. If you need a new door installed or want a higher-grade garage door that better protects your property from harsh weather, don’t hesitate to contact us. Call Town Center Locksmith Shop today on 561-328-2941 and hire residential locksmiths you can trust.